Even MORE Doctor Strange Set Pictures Reveal Chiwetel Ejiofor as the Villain! 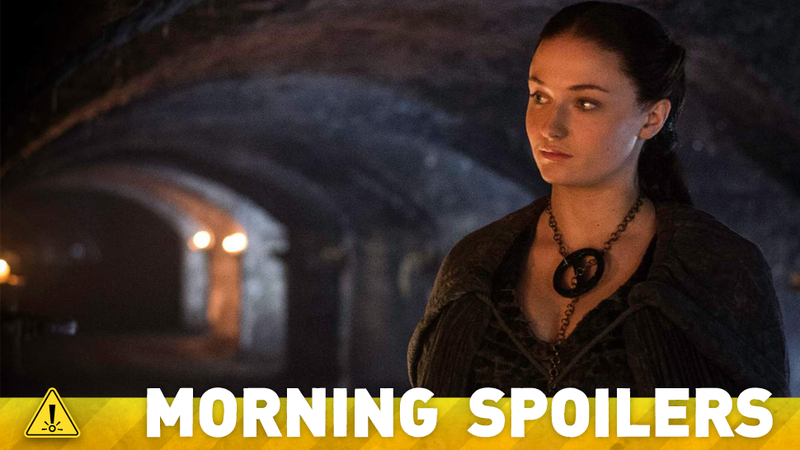 Will some people reunite in the next season of Game of Thrones? No, Amazon didn’t accidentally reveal a Force Awakens character’s surname. Steven Moffat and Peter Capaldi deny scary Doctor Who rumors. Plus, Superman returns to Supergirl, new Warcraft pictures, and Sam Mendes may leave James Bond. Spoilers! A few more set photos from filming in Nepal have made their way to the Internet, giving us more of Benedict Cumberbatch’s bearded Stephen Strange—and, surprisingly, Chiwetel Ejiofor’s character: Baron Mordo, one of several villains rumored for the film. Check them out below. A recent—and hilariously over-priced—Amazon marketplace listing for a puzzle featuring Finn has been driving speculation wild, as it describes the Puzzle as portraying... the son of Lando Calrissian. The assumption is that, as it is a product being sold directly by Amazon, the description was legitimate, accidentally revealing Finn’s lineage. A sense of completeness that wasn’t there at the end of ‘Skyfall’, and that’s what makes this feel different. It feels like there’s a rightness to it, that I have finished a journey. We’re making a full series. I can confirm that. I’m making a full series of 12 episodes, plus a Christmas special. I don’t know when it goes out. That’s up to someone else. And even if I did know – which I genuinely don’t – I wouldn’t be allowed to say so as I have absolutely no say in it whatsoever. [But] it’s not being reduced in size. We’re not making fewer episodes. That’s all complete bunk. I can confirm that absolutely. And here is Capaldi refuting in a similar manner to BBC News. Clara is gone and will never return. I will not reveal any forecast about her fate. I can only say that what will happen will shock, terrify and surprise. Strictly in that order. I love the character. I’d be very surprised if we didn’t [get her back on the show], because I think she really works and I think Ingrid is great in the part(s). The main character is someone brand-new. There’s lots and lots and lots of brand new. Because that’s what I want to see. I want to see somebody come up with something new. The way I write books, is… I know the last line of the book, and I already know the last line in the first season of Class. And I know there are things on the way that I’ve already written, or I can’t wait to write. So I’ve got all the episodes plotted out. I’ve got many many things written – and it’s really exciting! I wish I could tell you details, but it’s too early for details. TV Line reports that Tawny Cypress has been cast as Miranda Cane, a Senator who is “peddling her anti-alien beliefs to garner votes” that has to accept Supergirl’s help when National City comes under attack. Here’s a new TV spot for “Fight or Flight”, featuring a blurry cameo from the Man of Steel himself. Finally, here’s a sneak peek clip from “Lost Boys”.